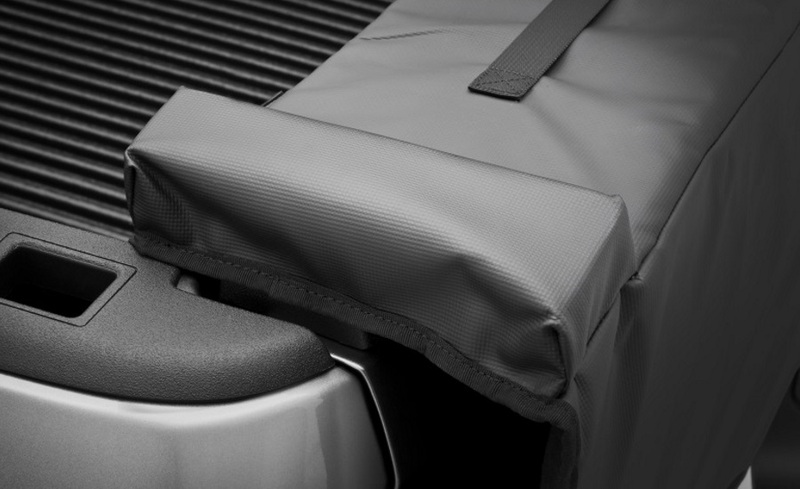 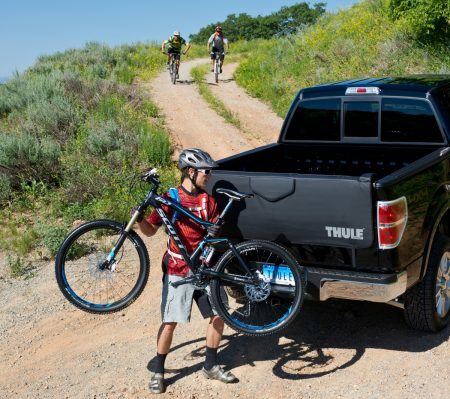 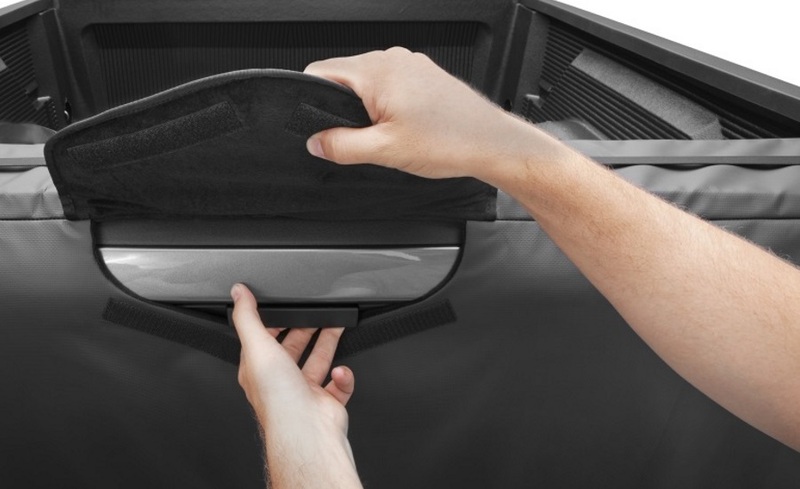 Thule Tailgate pad, the ultimate protection for your pickup truck when carrying multiple mountain bikes. 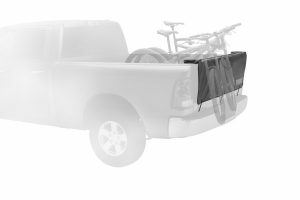 Tailgate pad (54 inch compact pickup version) or (62 inch full size pickup version), the ultimate protection for your pickup truck when carrying multiple mountain bikes. With a limited lifetime warranty Thule is dedicated to providing exceptional products that are quality tested and guaranteed against defects in materials and workmanship. 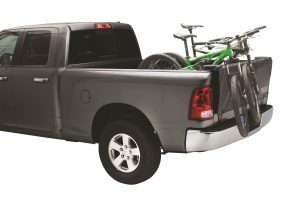 Available in two sizes: 823 – 54” for compact pickups and 824 – 62” for full-size pickups.